Stephanie is a beauty salon owner in Charlotte NC. She offers her clients a variety of beauty services including hair styling, manicures and pedicures, and eye brow waxing. She and her staff are well trained at these services but were constantly dealing with no-shows. Putting in a specific detail about your business makes it more personal, and while template reminders do the trick, adding a personal touch or promotion can really boost sales and gain customer appreciation. Texting and Email are also a great way to type in additional details that you want your customer to know before an appointment which can be great for aestheticians who wish for you not to wear makeup on your visit for a facial. Send Appointment Reminders or Fill Empty ones.Request appointment confirmations via SMS, Phone or Email (or a combo of all 3) to reduce the number of no-shows. Custom Messaging.You can word the messaging however you want, and even include a promotion or update on the salon hours. Managing Schedules.By using reminder software, you can reduce the number of calls from customers calling to cancel and schedule new appointments, allowing you to focus on your work. Reduce unnecessary costs.Appointment Reminders are a lot cheaper than traditional advertising strategies. Instead of printing flyers and ads you can reach customers via mobile, phone or email. Improve customer service.You can resolve all issues related to service options, booking confirmations, appointments and prices via automated customer service. This will help you reduce man-hours and overhead. Can I get Reminders Through my Salon Software? 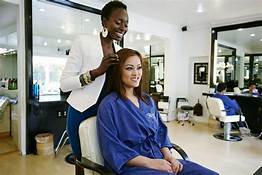 Many Salon software programs have an appointment setting feature, however they are simple and don’t allow a ton of options such as customization, number of appointments, type of reminder etc. Stephanie looked at several options and decided what made sense for her business. 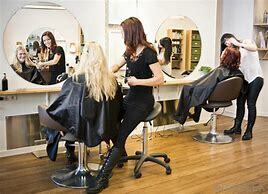 Many salons like to have a reminder system in addition to the salon calendar software as a checks and balances system. One is purely to look at and the other is the rapid-fire reminder system! Questions on how Reminder Software like Appointment Reminder can benefit your business or salon? Let us know and we are happy to tailor a plan for you!